As evidenced by a series of big sales from major airlines in recent weeks, now's as good a time as ever to book one more quick trip before the dreaded holiday travel madness sets in next month. In fact, JetBlue unleashed a giant lineup of crazy-cheap flights on Wednesday, most of which cost just $31. For one day only, the flash sale-prone airline is offering dozens of discounted one-way flights from its hubs across the country to both domestic and international destinations, with many potential roundtrip fares starting at $62. JetBlue's official sale site has the full list of cheap fares, including highlights like Atlanta to Boston (or vice versa) for $31, Chicago to NYC for $31, Austin to Long Beach, California for $31, and Tampa to Washington DC for $31, among several more. 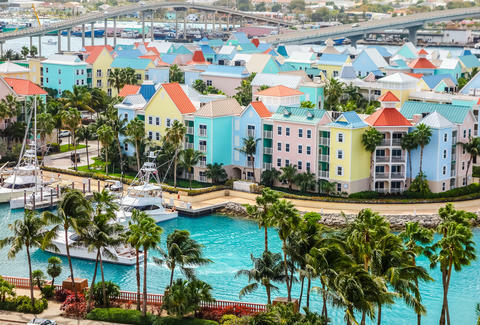 You can even score a $45 flight from Orlando to Nassau, Bahamas if you're fast enough. But, really, you should hurry. However, the Halloween-themed sale comes with some standard fine print you should keep in mind before you start submitting requests for your remaining PTO days this year. JetBlue notes that you'll have to travel between October 27 and November 4 and the sale only applies to the airline's "Blue" fares, so if you want to check a bag it's going to cost an extra $25 ($35 for a second bag). Interestingly, there are no blackout dates in the available travel period, so at least you won't have to deal with that when attempting to book a last-minute trip. Tony Merevick is Senior News Editor at Thrillist and would love to go on another quick trip before the holidays this year. Send news tips to news@thrillist.com and follow him on Twitter @tonymerevick.